Located at the University of Waterloo’s School of Optometry and Vision Science and established in 1988, the Centre for Contact Lens Research (CCLR) played a significant role in the early development and testing of silicone hydrogel lenses and the role oxygen in corneal health. Their facilities combine clinical, laboratory, and socio-behavioral strategies to develop and engineer new contact lens materials, designs and care systems. 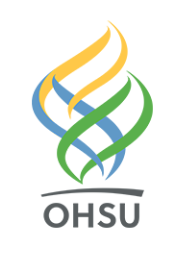 Oregon Health & Science University (OHSU) is the state of Oregon's only public academic health center. It educates health professionals and scientists, and provides leading-edge patient care, community service and biomedical research. The Columbia University Department of Biomedical Engineering hosts an exceptional range of cutting-edge and world-class research laboratories. Their research is mainly focused on three areas: biomechanics, cell and tissue engineering, and biomedical imaging. However, they are also dedicated to using their expertise and resources to merge these broad and diverse research tracts in order to make new discoveries that will lead to a better world. Université Laval is the first French-language university opened in North America. The university focuses on promoting positive change in the world by giving its students a progressive way of thinking in regards to research and world issues. The University of Laval is dedicated towards developing a future that is both sustainable and inclusive. 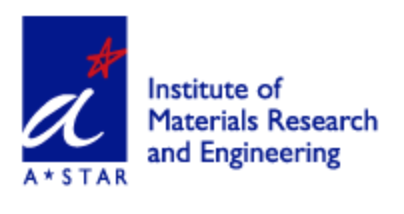 The Institute of Materials Research and Engineering (IMRE) is committed to high-quality, extensive materials research and development to bring about the latest in innovation and technology. IMRE stands by the importance of materials research, which represents a vital platform for building Singapore’s competitive advantage in a knowledge-based economy. IMRE is a member of the Agency for Science, Technology and Research (A*STAR). Established in January 2008, the National University Health System (NUHS), a joint venture between NUS and the Ministry of Health Holdings, groups the National University Hospital and the National University of Singapore’s Yong Loo Lin School of Medicine and Faculty of Dentistry under a common governance structure to create synergies to advance its tripartite mission of excellence in clinical care, translational clinical research and education. Created in 1964, INSERM is a public institution with a scientific and technical vocation under the dual auspices of the Ministry of Health and the Ministry of Research. It was created as a successor to the French National Institute of Health. INSERM consists of 339 research units, run by 6500 permanent staff members. Eighty percent of INSERM research units are embedded in research hospitals of French universities. The Duke-NUS Graduate Medical School is medical school opened as a collaboration between Duke and National University of Singapore. It enrolled its first class during the Fall of 2007. The Mechanobiology Institute, National University of Singapore provides an Open Platform to bring outstanding scientists and their projects to Singapore while providing high-quality training for students and scientists (local and foreign) in quantitative systems approaches to understand biomechanical functions.